Michael Phillips presents at the BAVUG meeting. 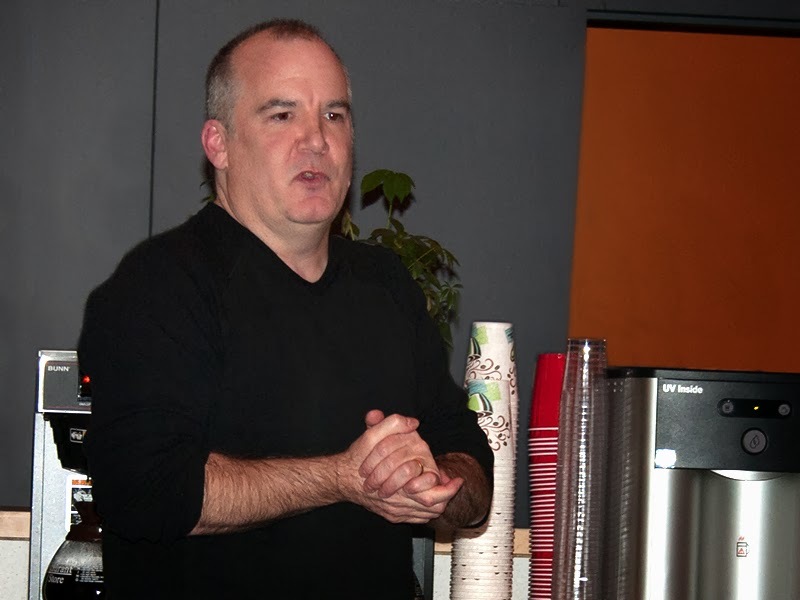 Last we we discussed an overview of BlackMagic Design at the Boston Avid Users Group January meeting. More specifically, Sid Levin's presentation of the Blackmagic Cinema Camera and the Blackmagic Pocket Cinema Camera. This week we'll talk about Michael Phillips' presentation of the round trip workflow from Avid Media Composer to DaVinci Resolve. For his presentation, Michael picked up where Sid had left off. Sid had explained how he acquires his footage in the Flat mode so that he has full control of the image in the edit suite. Using Davinci Resolve as opposed to the internal Avid Media Composer color correction tools give the editor a whole lot more options for control. If you want critical control over your image, it's best to go through Davinci Resolve or some other dedicated color correction system. When performing a round-trip conform between the Avid Media Composer and DaVinci Resolve, it's important to keep in mind that the most important data is the Source Name and Timecode. In order to make sure the conform is successful, in most cases, the Conform Options in Resolve should be set to "Source clip filename". Michael went into great detail on on the acceptable length of filenames for conforming so that Avid's filename limitation of 31 characters (name and extension) won't throw a wrench in the works. Michael started off the workflow demonstration by explaining that the initial step is to make sure footage that has been shot in Flat mode, can be presentable for the client during the edit process. He did this by opening in DaVinci Resolve the same camera source files that will be used in the Avid Media Composer. In DaVinci Resolve, he creates a timeline, uses the tools in Resolve to establish the look he would like, then exports out ALE + CDL information. This creates metadata that the Avid Media Composer will use to adjust the look of the source clips while editing. Before the Avid Media Composer can properly use the ALE file, Michael had to open the file in a text editor, and change the Name heading to Source File. This is because AMA in the Avid Media Composer uses Source File to identify the clip. This ALE data is then merged with the AMA clips in his source bin. Once the Source Settings for the clips have been set to Auto, the Avid Media Composer uses the CDL data that was merged with each clip to apply the color corrections that were done in DaVinci Resolve. Once the edit is complete, it's time for the final color correction. The sequence is exported out of the Avid Media Composer as AFF. This sequence is opened in DaVinci Resolve and the final color creation is done. At this point the final color corrected source clips are rendered out as MXF files from DaVinci Resolve and saved directly into the Avid MediaFiles folder. The sequence is exported out of Davinci Resolve as the same AAF file that was imported in (do not make a new AAF). The final step is to open this AAF file in the Avid Media Composer. 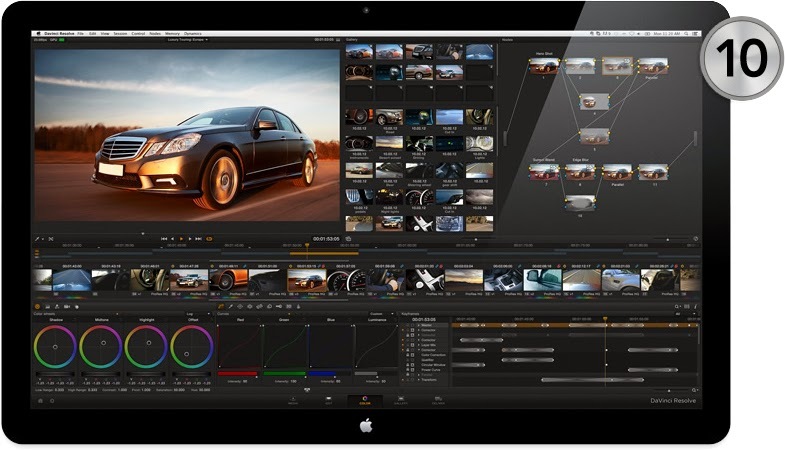 The Avid will open the sequence linked to the new media that was exported by DaVinci Resolve. The actual presentations contain much more detail and information. If you have a chance to see Michael or Sid present, I recommend you see them live. In the meantime, check out Michaels website at 24p.com or Sid's at www.firstframe.com.